This topic contains 3 replies, has 2 voices, and was last updated by admin 5 months, 2 weeks ago. I know that currently pro2pdf does not support multiple uploads of photos. Is there a way to make this work ? I would like to display like up to 6 resized images next to each other in my PDF. Use 6 Formidable File Upload Fields to upload 6 images. All will display on PDF as long as they are not too big. 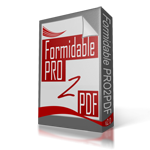 Final PDF should not be more than 5mb-6mb. Additionally, generating the PDF will take a bit of time, so it’s best not to email the PDF, but rather email a link to download the PDF. Otherwise, the submit button may take a long time to redirect. Thank you for your response! I worked great. The pictures are taken from an iPhone and uploaded one by one. The formidable, I put 500px wide for the photos. On the PDF file, they appear very pixeled..
Is there a way to make the picture appear in better resolution on the PDF file ? We have not experienced any issue with image resolution. Can you upload a sample of the merged PDF and the uploaded image here?